Approximate Age Unknown 19th-20th century? Additional Information: Iron gongs are used by many different groups in Africa to set the rhythm for music, establishes the cadence for rituals, religious ceremonies or simply to beat time for dancing and entertainment. 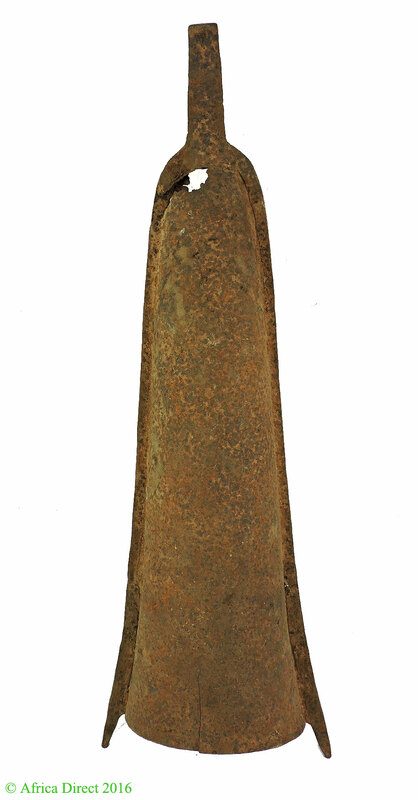 This one was also used as currency among the Yoruba. 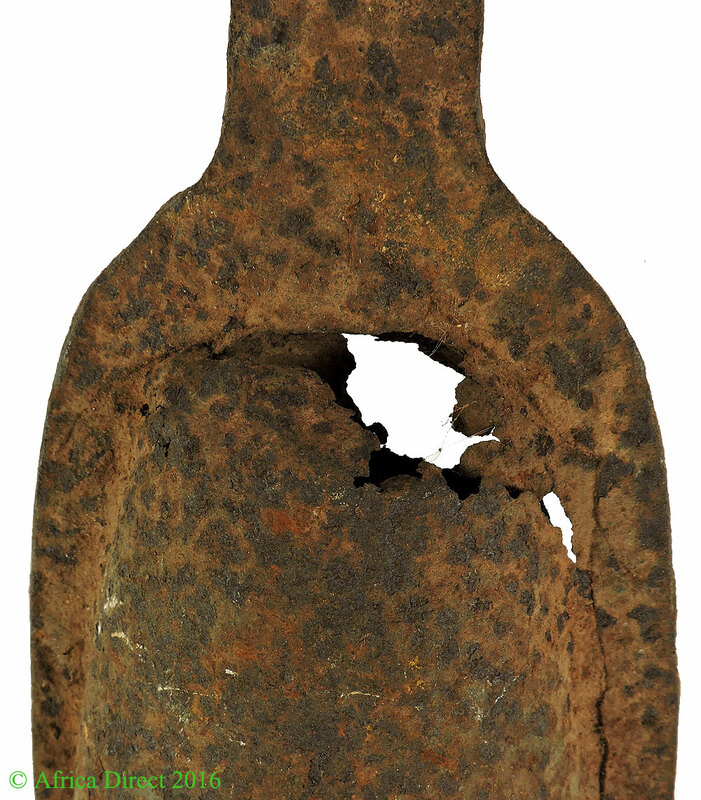 The age of this example is unknown although the rusted surface evidences the gong was extensively exposed to the elements.